System Noire are a young „dark electronic“ project from Hanover featuring Björn Miethe on vocals and Daniel Gosewisch on keys. Massive beats with straight and catchy melodies define their dancy sound which combines elements of classic dark electro and futuristic synth-pop in a very unique way. After their debut single „On the other side“ (feat. Henrik Iversen of NamNamBulu) and the “Dead Inside” EP from 2017, System Noire are now releasing their full-length debut „Do Not Pass That Door“ on their new label „Danse Macabre Records“. The album features deep and sophisticated ballads, playful instrumentals and energetic club hits – System Noire are ready to conquer the dance floors of the gothic scene! Lyrical themes like fear, (self-)hate and cryptic love take you on a trip into the human mind! 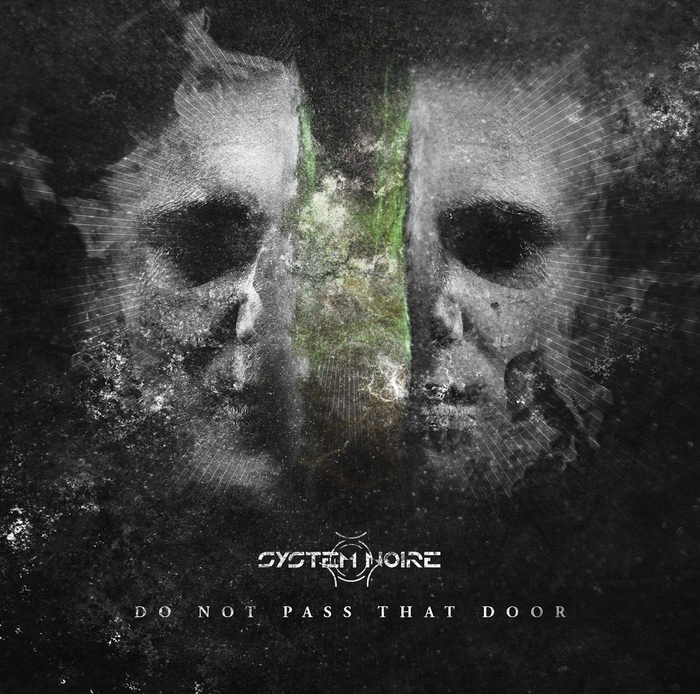 „Do Not Pass That Door“ also includes remixes and feature tracks from and with bands like ES23, Unterschicht, SynthAttack, Ruined Conflict, XMH and Alien:Nation, which add a new dimension to the classic System Noire sound. Enter a new dimension of electronic dance music!